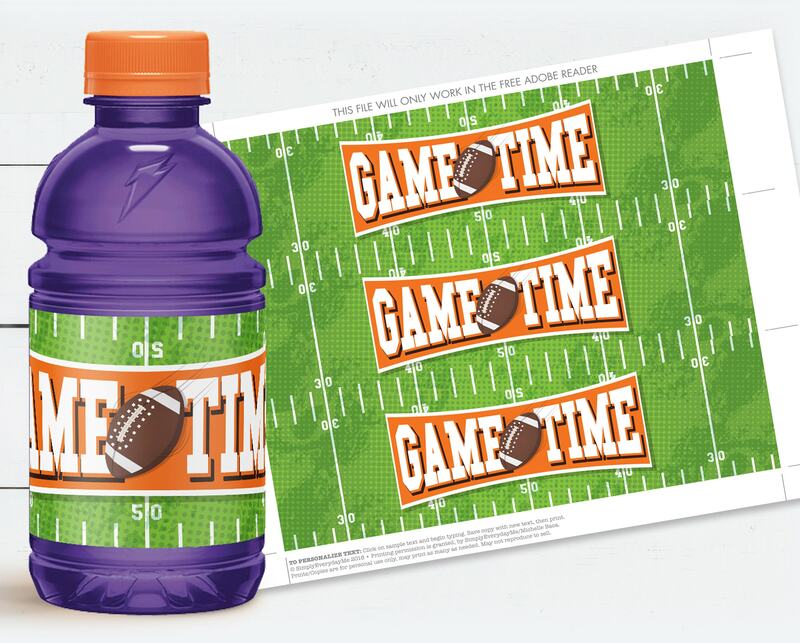 INSTANTLY DOWNLOAD this PRE-TYPED printable FOOTBALL 12oz SPORT DRINK BOTTLE WRAPPER LABELS - then print & create as many times as you like. ★★ NO physical item will be shipped! 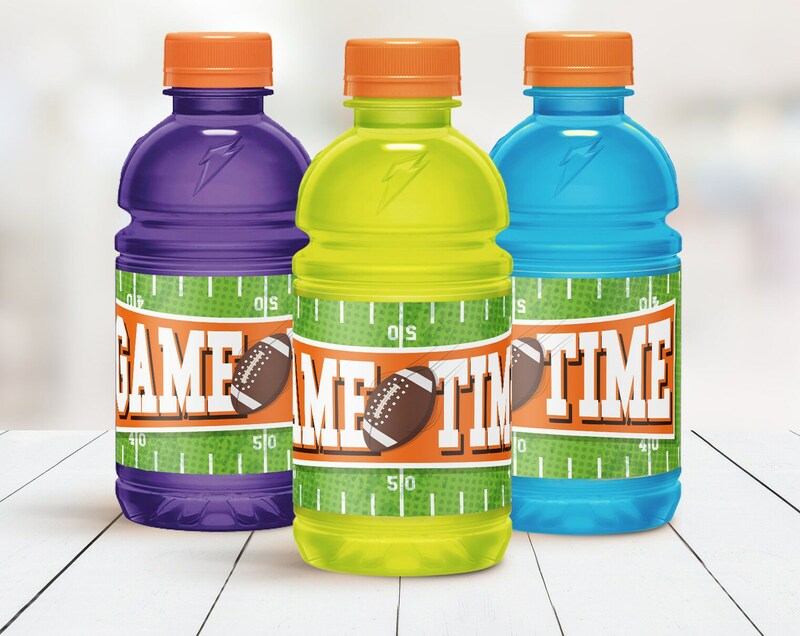 Sports drink is for photographic purposes only. This listing is an INSTANT DOWNLOAD item, so you can get crafty in a jiffy! 4 - Trim you printables by cutting along the crop marks... then share! NOTE: Invitations are NOT formatted for any Avery papers. ★ This is a NON-EDITABLE Printable. the graphics and colors are fixed & cannot be changed.